Experience true relaxation at these spas in PA. Find day spas in PA that will help chase your troubles away. Pack your Bags and Prepare to Relax! 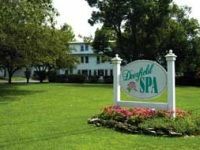 If you're looking for a relaxing getaway then look no further than Deerfield Spa. This beautiful spa, located in a Victorian country home and set in in the heart of the Poconos, is perfect for a day trip, a weekend getaway or a longer vacation. Whether you want to spend your days having massages and relaxing by the pool or hiking through the great outdoors and exercising in the cross-training gym, Deerfield can accommodate you! Professional staff ensure you have the best treatment available from fitness trainers to masseurs, nutritionists to chefs, Deerfield boasts experienced and knowledgeable staff. This gem stands out among spa resorts in PA! One of the Top Luxury Vacation Spas in Pennsylvania! 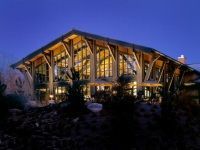 This tranquil mountain spa and resort located in a natural wonderland of beauty is perfect for a retreat from everyday life. Relax and get massages, facials, pedicures and body treatments, or participate in resort activities including cooking demonstrations, fitness classes and guided adventure excursions. More active guests can set out on an adventure and do some biking, hiking, fishing or kayaking in the surrounding forest and mountains. Rated among the 10 Most Luxurious Spas in the US by Forbes.com The Lodge at Woodloch treats guests like royalty and provides lush accommodations and three gourmet meals each day. Modern Day Spa and Salon Near Philadelphia! 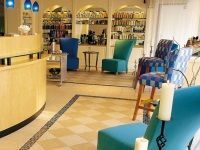 This fast growing, artistic salon and spa located in Blue Bell PA is a wonderful place to get away from the stress of life and spend a day being pampered. Whether you book a wrap, manicure, massage or one of the many other services offered, licensed professionals will make sure you receive only the best treatment. One of the best spas in Pennsylvania, Jolie Salon and Spa has been featured in Philadelphia magazine’s Best of Philly. Try the "Divas' Spa Day" the "Four Layers Facial" or the "Spa Manicure" for an indulging day out. Get Pampered at Spas in PA! This full service spa and salon in Centre County is the perfect place to go for some relaxation and pampering. Both men and women can enjoy the services offered at Designer's Denn. Pick and choose the treatments you'd like, or try one of Designer's Denn's many spa packages. They offer a "Petite Spa Day" for people who need a short break from the day or for more comprehensive spa day, try the "Journey to Serenity" package where you'll receive a massage, facial, manicure, pedicure, hair styling, and professional makeup application. Retreat from Daily Life at this Luxurious Spa! One of the best spa getaways in PA, Cara Mor offers a relaxing place to be pampered and spoiled. 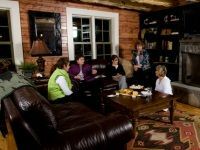 Perfect for group getaways and spa parties, Cara Mor has three lodging options for groups of all sizes. Choose from the many packages offered whether you want a small girls getaway or a weekend bachelorette party Cara Mor can tailor their services to meet your needs. Gourmet food created by Chef Rock is served for lunch and dinner and a breakfast bar is available in the mornings complete with custom-made smoothies.